Kevin Pietersen has been ruled out of the IPL. 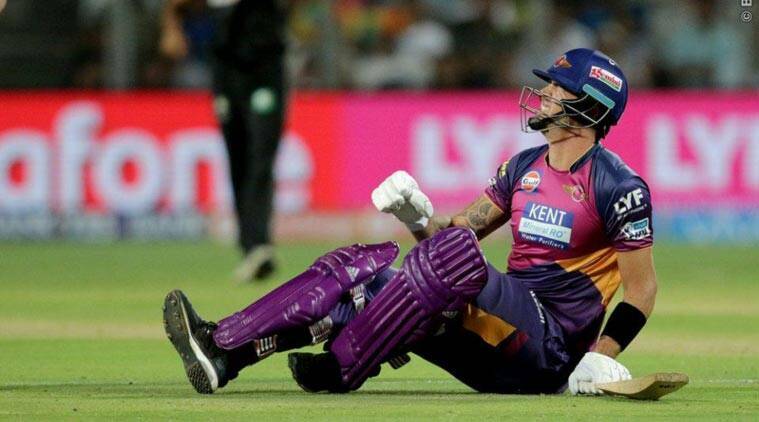 A calf injury to Kevin Pietersen has forced him to return back to England, which has not worked in Supergiants' favor. Neither has Steve Smith's indifferent form. Ajinkya Rahane and Faf du Plessis have looked impressive at the top of the order but it is the middle order that has let them down. Mitchell Marsh, Thisara Perera and Albie Morkel are all quality all-rounders and best suited for the T20 format. All three of them have been given a go but neither of them has risen up to the expectations. Perera struck a breathtaking 13-ball 34 against the Royal Challengers Bangalore but even that inning ended up in a losing cause. The biggest reason which has kept the team on pins and needles is their bowling attack. The established names have not performed well and the novices have followed them. RP Singh was far from his best in the two matches that he played. Irfan Pathan was brought in for a match but was only given a single over. Ishant Sharma led the attack in the first four matches but returned with figures of 15-0-148-3 in them. No captain would want his new ball bowler to concede runs at 9.46 runs per over. As a result of which, he missed yesterday's game. Another perplexing problem for them has been the fact that R Ashwin has been under bowled by Dhoni in this tourney. 14-0-103-1 is what the renowned spinner's figures look after five matches. His sole wicket has come at an average of 103 and strike rate of 84. The economy rate (7.35) is on the lower side comparatively. Ashwin bowled his full quota of four overs in only two matches, which is peculiar as he has been Dhoni go-to man in the past years. Ankit Sharma has also been found wanting mainly due to his inexperience. Another question which arises on the combination is that bowlers like Ishwar Pandey and Ashok Dinda have not been tried as of now. Pandey use to open the bowling for CSK in the past but is yet to get a game in this season. He had 11 scalps in 10 matches under his name in the last season. What was most admiring was his average of 20.27 and strike rate of 7.19. Dhoni has himself admitted that the issues in the bowling department will have to be resolved. So what better than giving a chance to the strong bench? All is not lost for Pune. They still have nine matches to go in this season. It's just that they will have to get their acts together. Dhoni is known for his miracles, he will have to display some in the matches to come!